When your business has employees, you need to pay them regularly. Maintaining the pay structure along with the employee’s information is what Payroll stands for. Simply put, payroll is the maintenance of payment structure, timings, benefits, overtime, working hours and much such employee-related information that helps in calculating the salaries every month. While some companies have their own payroll departments, many use payroll outsourcing facilities. Why do You Need to Hire a Payroll Outsourcing Service? There are companies which prefer to maintain their in-house payroll. The reason behind is the oversight and greater control over the payroll. Today, the new technologies are by far more sophisticated and advanced. Payroll outsourcing saves time and money and keeps your business compliant across multiple sites. What Services do Payroll Outsourcing Services Provide? Monthly taxation and payment calculation. Full and final payment including settlement if any. Depositing an issue of funds directly to the employees. Calculating federal and state payroll taxes and making final reports every financial year. What are the Pros and Cons of Outsourcing Payroll? The benefits of payroll outsourcing are numerous for both small and large companies. The outsourcing companies provide the benefit of cost and time saving, avoids compliance issues, provides security, expertise services, level management, and understanding of the local taxation and payroll policies. When you have a new business and unaware of the policies of taxation, outsourcing payroll services come as a great help. In fact, if you are targeting to expand in foreign locations, payroll outsourcing services become a valuable partner. In terms of foreign employment solution, payroll outsourcing does not help much. They are not complying with the immigration and labor laws in the host country. There are chances of not having a local entity for employment in the foreign company as well. Ultimately there are few practical disadvantages that include losing control of compensation, security issues, irrelevant data records, lack of quality service and timely reports. The offsets can be overcome by selecting the best payroll outsourcing in level management companies by entering into payroll outsourcing service level agreement with these companies. What Services Help Start-ups do Payroll, Accounting, and Taxes? When you are planning a start-up, you must look out for Business outsourcing service providers. They help in managing payrolls, accounting, taxes, and government-related issues using simple software. For payroll services, it is important to carefully handle the complying conditions. The services also help in tax calculation for the new start-ups. They arrange for a financial advisor to discuss on organized investment, information etc. Maintain and display certain registers and form etc. The failure to follow any of the compliances will invite unnecessary legal hassles for the organization. 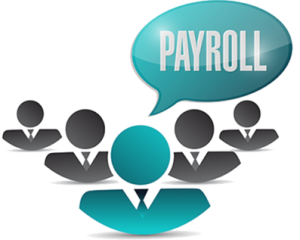 Therefore, payroll outsourcing service firms play a key role in helping in guiding in payroll compliances.